Private NEW JERSEY USA Hockey and NHFS Delbartan 3 7th St Augustine Prep 2 03/13/11 Meadowlands, N.J.
Public A NEW JERSEY USA Hockey and NHFS Randolph 1 5th Montgomery 0 03/13/11 Meadowlands, N.J.
Public B NEW JERSEY USA Hockey and NHFS Chatham 7 1st Middletown South 3 03/13/11 Meadowlands, N.J.
Indiana 'Crazies' version of the National Anthem ! Here is a great idea since the PIHL does not play the National Anthem at Games. And the Best Thing is the this is FREE ! Students, Parents, Players and Coaches ....clear you throats and start the singing ! 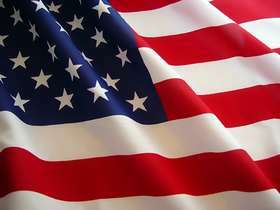 Let's see who has pride in our country....USA USA USA ! Here is last year's 2012 PIHL Open Championship at RMU Neville Island with Indiana 'Crazies' version of the National Anthem !